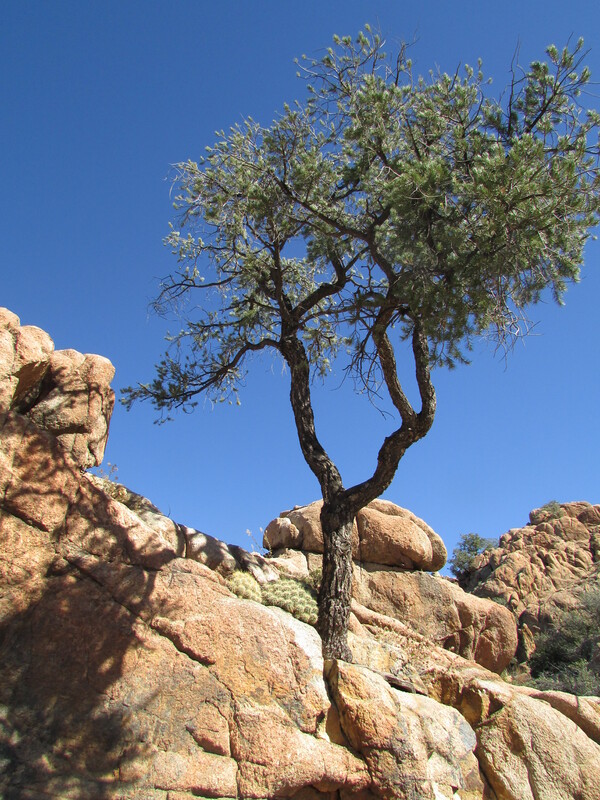 Visitors who come to Prescott and those moving here, may be fortunate enough to discover one is our greatest treasures–The Highland Center for Natural History. Located a short drive down Walker Road from Highway 69 (by Costco) the Highland Center offers something for everyone. My husband and I first came to the Highland Center because we were looking to add some more physical activity to our lives. 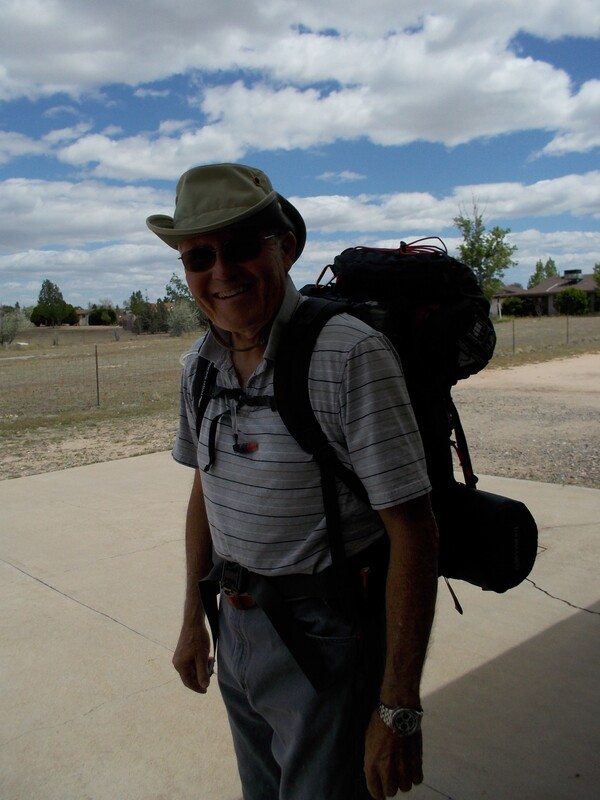 In September of 2008, the Highland Center began the Hiking Spree. 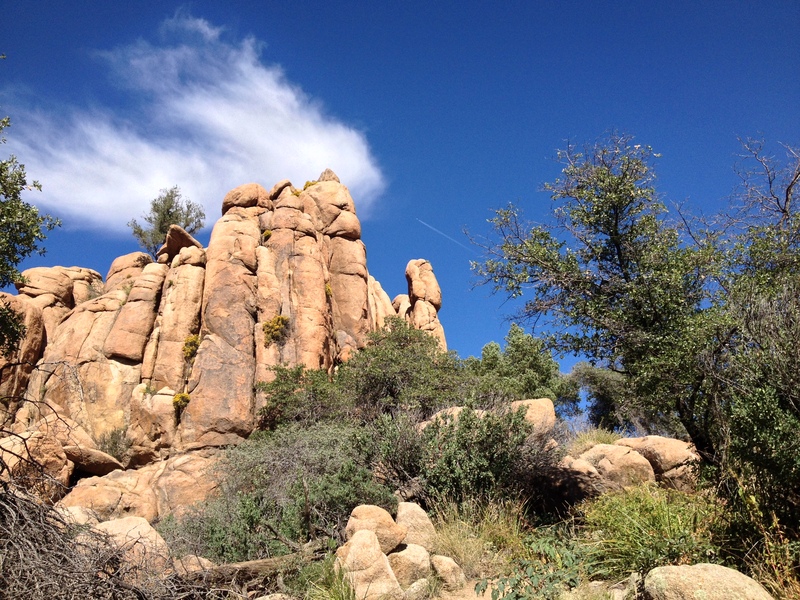 Participants are provided with maps for a dozen hikes in the Prescott National Forest. The requirement is to complete eight of the hikes. This entitles the participants to purchase an emblem appropriate to put on a wooden walking stick (Which you can also purchase at the Highland Center). Craig and I have completed the Hiking Spree every year. We are just three hikes away from earning our 2015 emblem. In 2008, I was still teaching at Bradshaw Mountain High School, but I considered volunteering at the Highland Center once I retired. As retirement came closer, I put volunteering on my bucket list. For the past two years, I have been a docent for second and fourth graders who come to the Highland Center on school field trips. I have learned a lot from the docent training, but I also learn a lot from the kids. I love their enthusiasm and curiosity. Sharing my love of the outdoors with them has brought me many hours of enjoyment. The Highland Center has much to offer. Besides the school programs for second and fourth graders, there are programs for preschool, kindergarten and seventh grade. During school breaks children can enroll in day camps where they become even more immersed in learning about our special Central Highland ecosystem. Families come to the Highland Center to enjoy the many hiking trails. 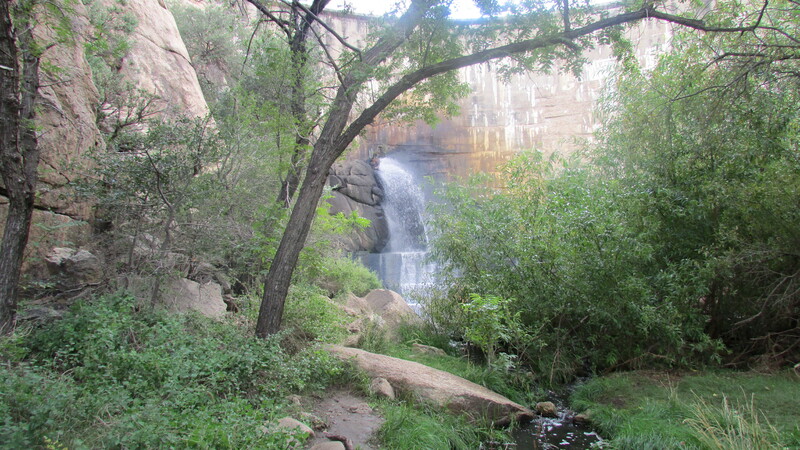 The trails connect with other places in the Prescott National Forest, such as Lynx Lake and the Lynx Creek Ruins. Throughout the year, there are programs for families. Bug-a-Boo Bliss is an opportunity to take a look at our tiniest creatures. Imagine studying specimens of insects or even holding and petting large cockroaches, or taking a hike at dusk with a guide who knows just where to look for bugs and spiders. At Halloween Happenings, families can participate in scavenger hunts, crafts, and fireside stories. For adults the Highland Center offers many educational opportunities. 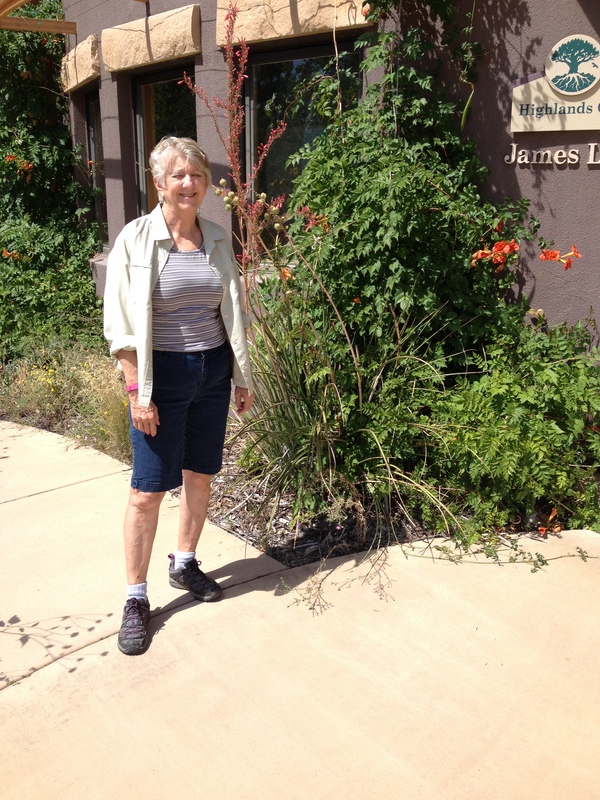 There are guided hikes, bird walks and interesting classes. Whether you just want to know a little about our beautiful home or you are serious about becoming a certified naturalist, you’ll find what you’re looking for at the Highland Center. 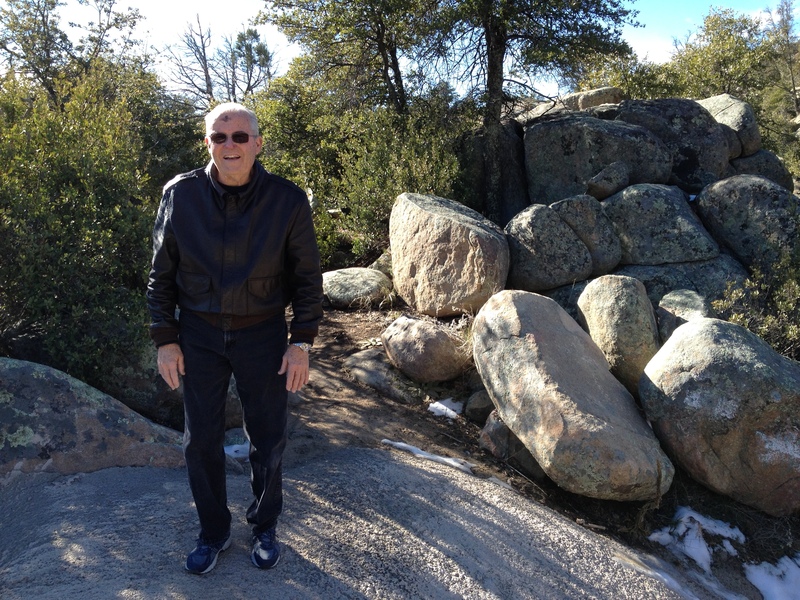 It’s hikin’ time in Prescott, AZ. 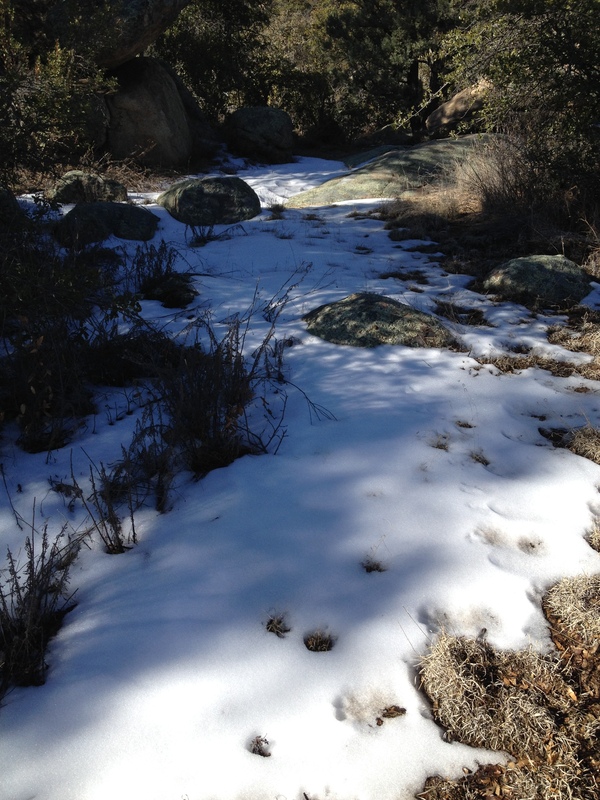 Almost any time of year is a great time for hiking in Prescott. But springtime is especially nice. The temperature is in the sixties, the sky is a bright blue with puffs of white clouds, and signs of new growth are visible everywhere. 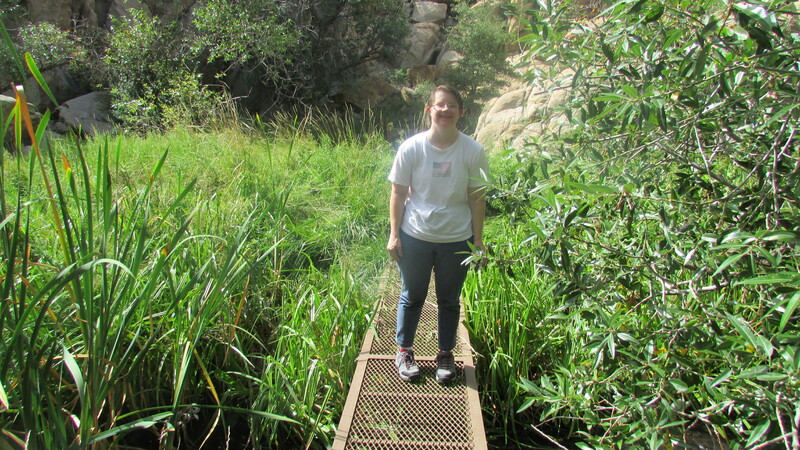 A trail I would recommend to you is the Granite Gardens. I call it 1.2 miles of awesome! 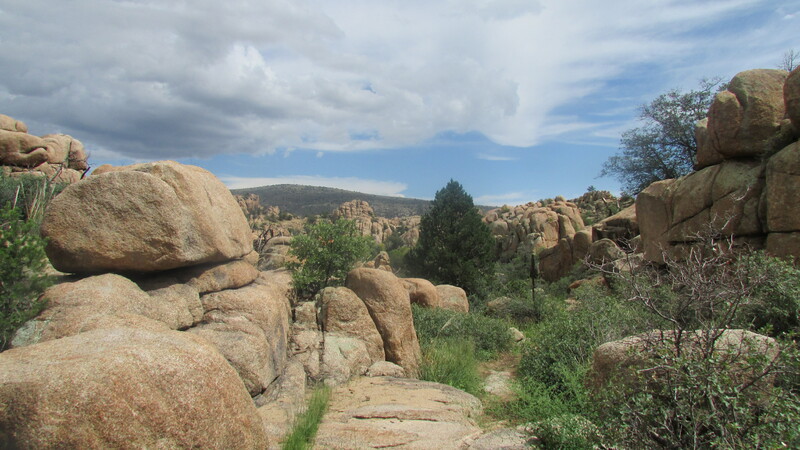 To reach the trailhead, drive north on highway 89 through the Granite Dells to Granite Gardens Drive. It is across from Granite Gate Senior Living. From the parking area, walk east and use the bridge to cross Granite Creek. The beginning of the trail will be on your left as you walk up the road and goes sharply up. As you reach the crest of the hill and go over the top, you will have an excellent view of a small dam. It was used to divert water into a pipeline that carried water to the Chino Valley Irrigation Project. Another dam farther downstream provided water for a freshwater swimming pool at the Dells Resort. My mother has many memories of that pool. I think I might have gone there with my aunt and uncle as a child, but I don’t really remember it. The pool was closed in 1971. 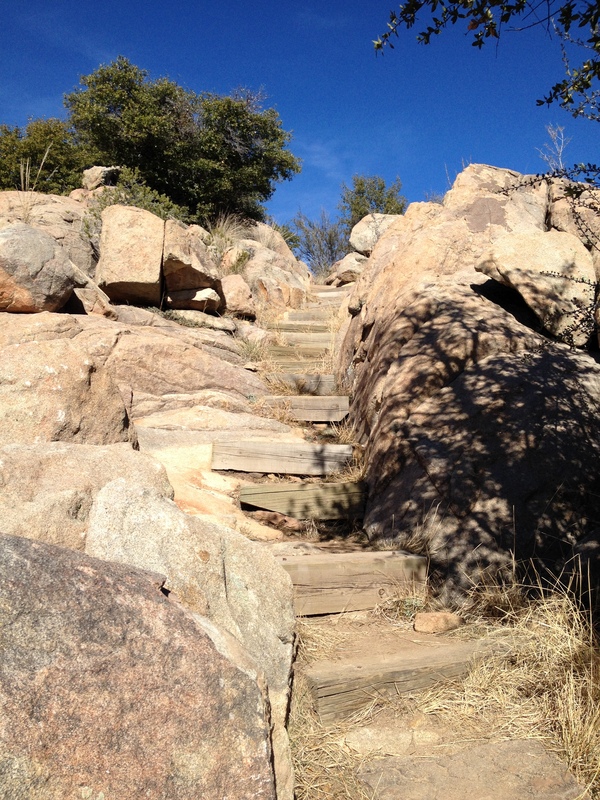 Continuing along the trail, you will come to a stairway. Reaching the top, you will enter the majestic granite portion of the hike. 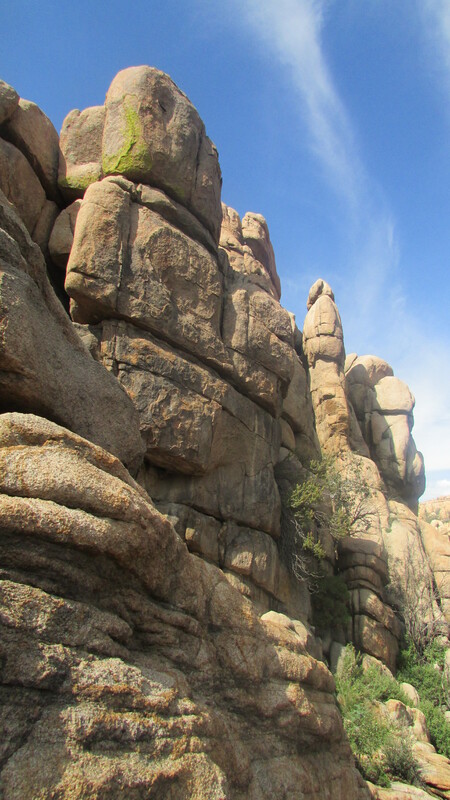 Following the white dots across the rocks, you climb over and down the granite face. From there the trail leads to Castle Rock. 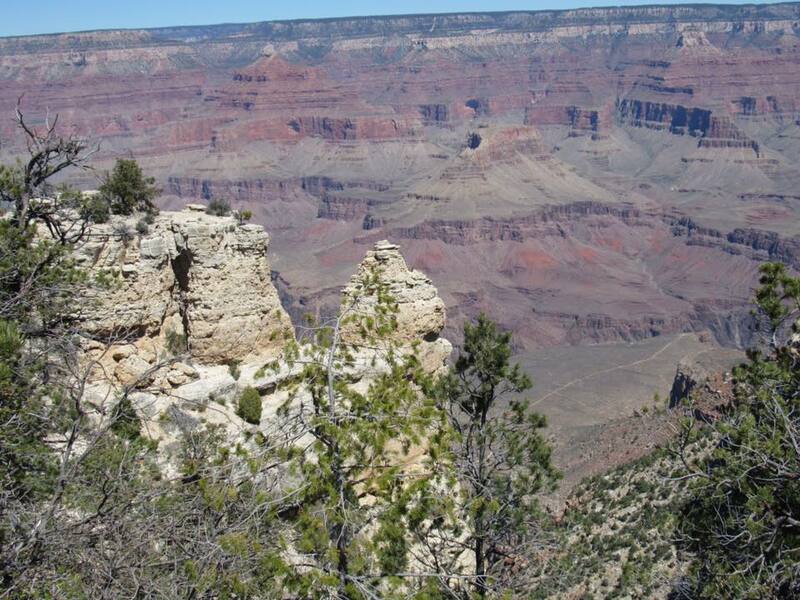 Views are spectacular in every direction as you continue along this loop of the trail. On the next part of the trail, we became a little lost, but were glad we did. Otherwise, we would have missed the room built into the rock. The metal door said, “ Do not come in,” but who could resist? 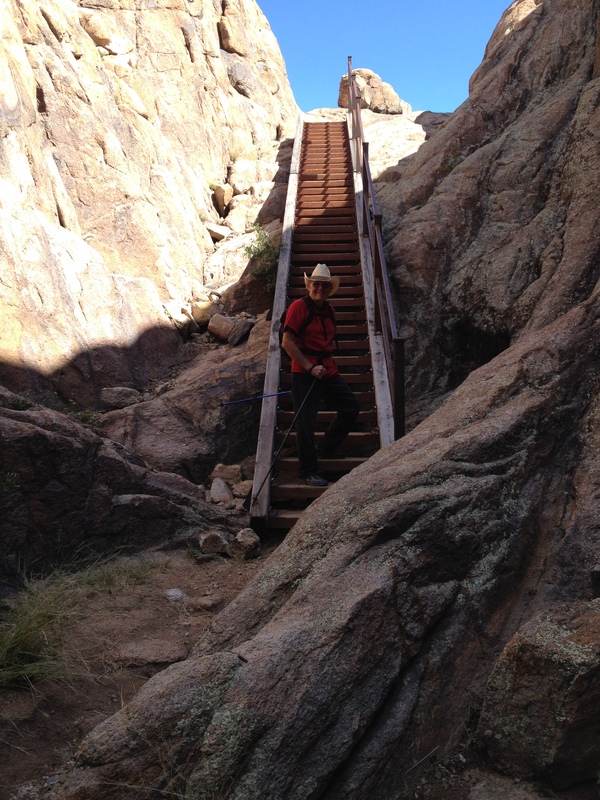 As the trail continued, we climbed up the side of what is called the Rock Stacker. It didn’t really take a great deal of imagination to figure out why it was called that. 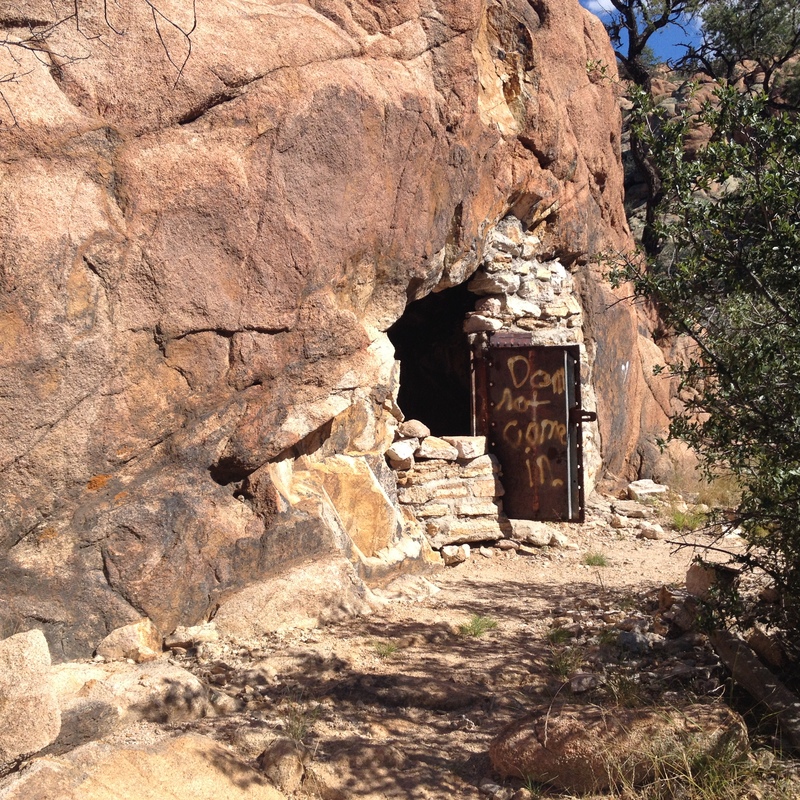 From there, the trail led to an underground grotto. 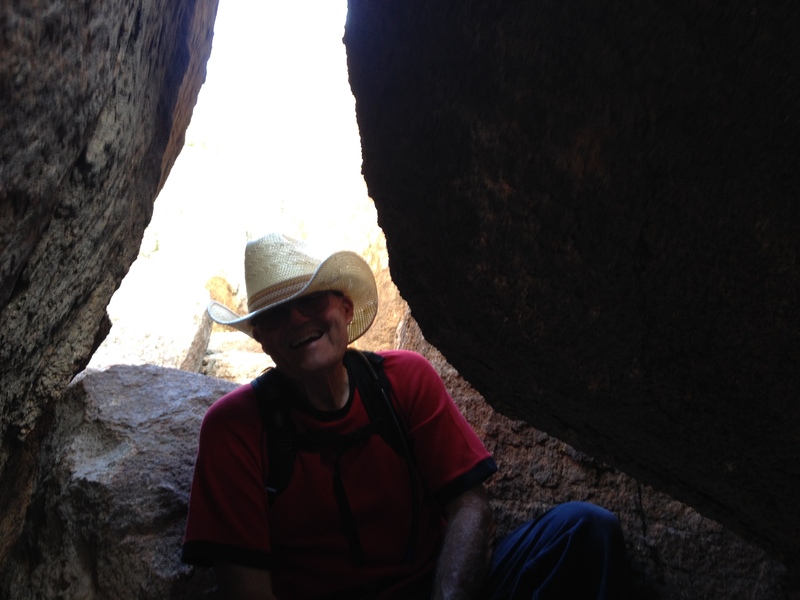 Giant boulders were wedged tightly into a crevice. The trail took us under the boulders, any one of which could have easily crushed us to death, had they not been so firmly in place. For part of the trail we had to squeeze between some rocks. It was a daring adventure that no one should miss. After wiggling our way out at the other end, we were treated to more spectacular views of the granite rocks as we climbed back down. From there, we walked across a meadow and back to the creek. We left our little refuge and returned to civilization, still amazed at all that we had seen on the short but incredible hike.